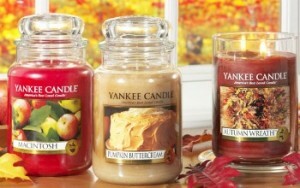 Yankee Candles are super gift ideas – and great to have around the house too! Grab these two new printable coupons to enjoy the scents of the holidays for less! There’s a new B1G1 FREE Yankee Candles (large jar) printable coupon and a B2G2 FREE Yankee Candles (large jar) printable coupon! (Search the ‘household’ category to find these coupons quickly.) Stock up on your fave scents now!